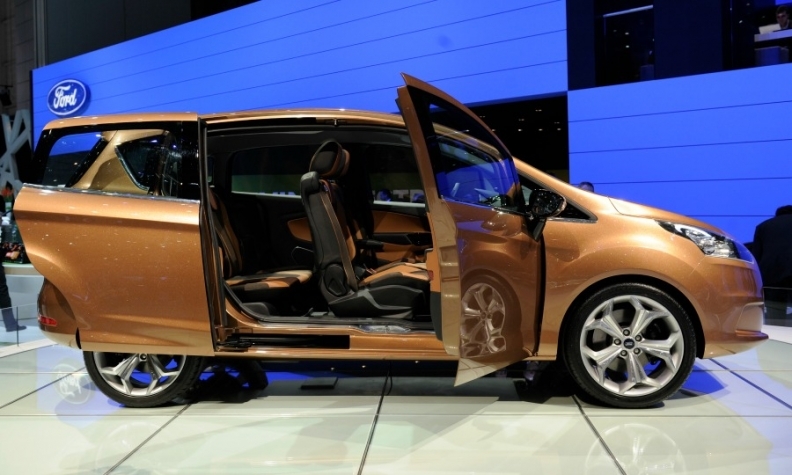 Sales of the B-Max minivan have been slow. BUCHAREST (Reuters) -- Ford Motor Co. will lay off about 500 people at its Romanian division this year, less than initially envisioned. Ford took over struggling Romanian carmaker Automobile Craiova in 2008 and started producing its B-Max small minivan there three years ago. However, weak demand has led to regular production stoppages each month for more than a year. Sales of the B-Max began as customers increasingly began to buy small SUV-styled crossovers instead of minivans. Last year, European sales of the B-Max fell 21 percent to 53,838, according to JATO Dynamics. In November, Ford Romania said it planned to cut about 20 percent of its staff, roughly 680 people, as it adjusts to a weak European market. "Today we are able to confirm that we have reached an understanding with unions to implement a reduced work schedule at the Craiova plant, which will allow the company to avoid laying off approximately 170 people," the company said today. About 490 employees had joined a voluntary redundancy plan, the statement said.